Terex Corporation has aligned its Fuchs material handler excavator business with the Terex Material Processing segment and has rebranded the marque as ‘Fuchs – A Terex Brand’ as part of a plan to boost sales and expand the Fuchs business beyond the line’s traditional scrap markets into areas such as timber, recycling and ports. 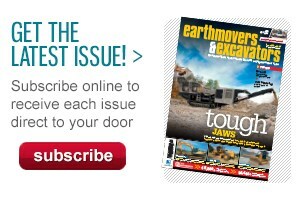 "The purpose-built Fuchs material handlers are integral to the long-term Terex business strategy and a natural fit in the Materials Processing segment," Terex Materials Processing president Kieran Hegarty says. 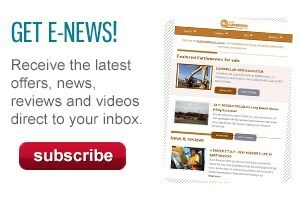 Fuchs has also announced multiple new models and model upgrades, including two completely new model class designs – the MHL390 F and MHL370 F.
Available in operating weights ranging from 76.2 to 87 tonnes, the Fuchs MHL390 F handler is designed to deliver the long reach and high lift capacities required in port applications. It features a broad outrigger base for extra stability when lifting heavy loads at extended reaches of up to 24.5m. A banana boom configuration which enables the handler to reach deep into a vessel’s hull for port applications is available. 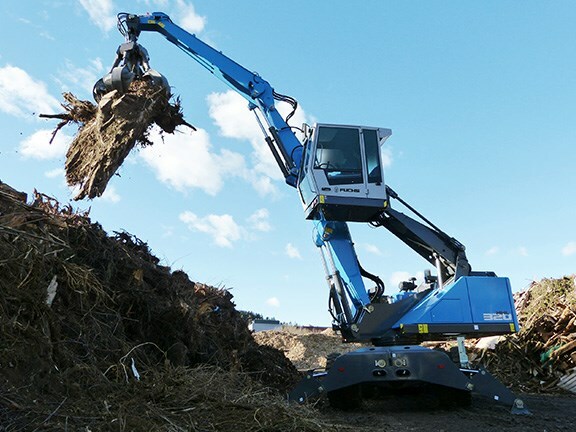 The new 55-tonne high-capacity Fuchs MHL370 F handler has a reach of up to 18m and is designed for use in large, high-volume scrap operations processing material with mega-shredders. 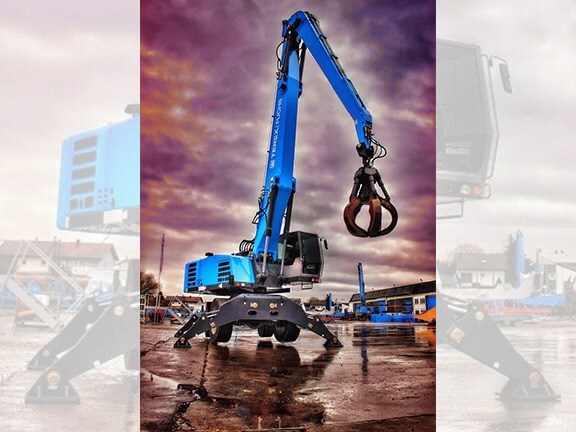 "The MHL370 F delivers increased lift capacity over the smaller Fuchs MHL360 F material handler," the company says, "while an elevating cab provides a maximum eye-level operation of 6.1m and independent cab forward movement of 2.2m, which is critical for port applications." Fuchs has also upgraded the popular MHL320 F handler, which is designed as an entry-level unit for recycling, solid waste and small scrap operations. A new cab design incorporates more glass to advance visibility, new joystick steering control for improved manoeuvrability and a revised interior for more space and greater operator comfort. 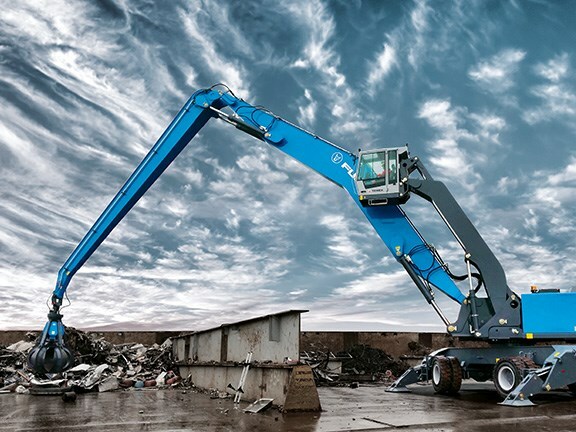 Fuchs says that purpose-built handlers like the MHL320 F are the only machines that deliver high lift capacities at extended reaches, efficient sorting capabilities and fast trailer loading/unloading.